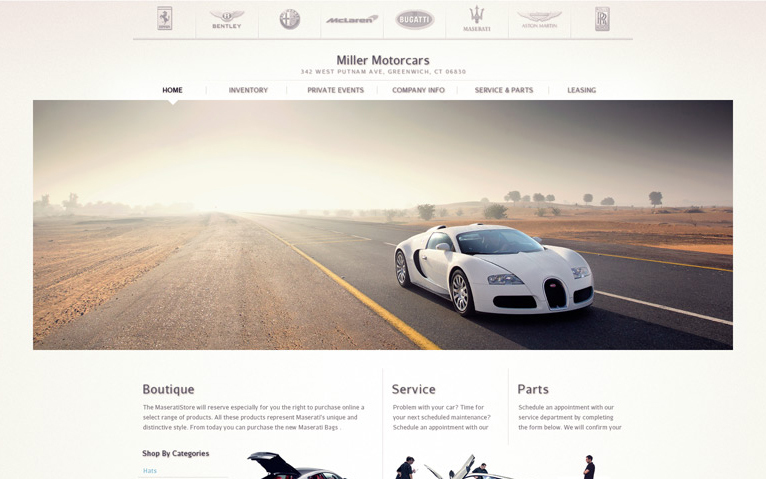 Miller Motorcars of Greenwich, Connecticut is bringing you the finest in new and pre-owned motorcars to their loyal list of clients. At our luxury car dealership we offer Aston Martin, Bentley, Bugatti, Ferrari, Maserati, McLaren and Rolls Royce. We are the only factory authorized dealership for all these unique brands in the entire state of Connecticut.